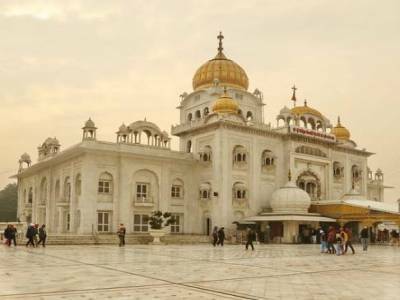 Gurudwara Bangla Sahib is easily amongst the most famous Sikh gurudwara i.e. the house of worship for the Sikhs in the capital of India Delhi. Originally it was a bungalow that belonged to Raja Jai Singh who was an Indian ruler of the 17th Century. 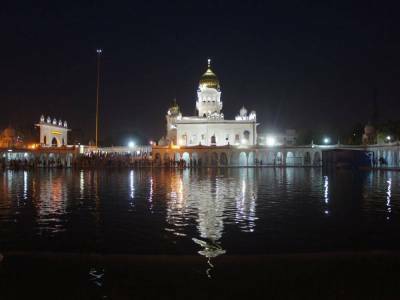 It is associated with the 8th Sikh guru Guru Har Krishan and a pool which is present there within the complex known as “Sarovar”. It was initially built by Sardar Bhagel Singh, a Sikh General in the year 1783 as a small shrine who incidentally was behind the construction of 9 Sikh shrines in the city of Delhi, all in the very same year during the regime of Shah Alam II, the Mughal Emperor. 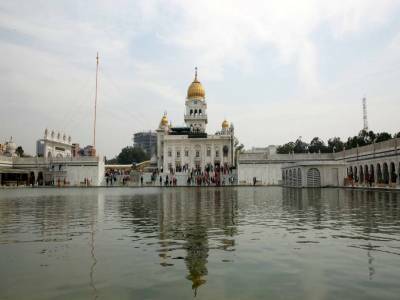 Gurudwara Bangla Sahib is located near Connaught Palace. The exact location of the gurudwara is at Baba Kharag Singh Marg. It can be easily distinguished courtesy of its tall flagpole and golden dome. It was the 8th Sikh guru Guru Har Krishan who stayed here in 1664 while he was at Delhi. There was cholera and small pox epidemic at that point of time & it was Guru Har Krishan who helped the sufferings of the people by providing help and fresh water from his house’s well. But very soon he too fell ill and finally died of the epidemic illness on the 30th of March 1664. The gurudwara and its Sarovar are highly revered by the Sikhs now. The gurudwara has been renovated in the year 1783. Not only for the people of Sikh religion, people from all over India come to witness this place with a great deal of enthusiasm. 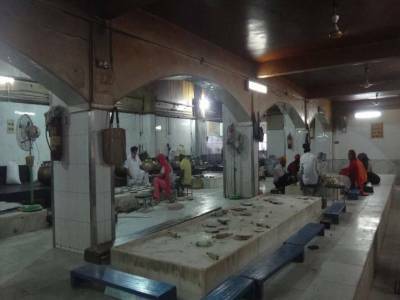 One of the best aspects about this gurudwara is that remains open round the clock including weekends as well as national holidays. Moreover, there is no restriction on time in staying in the place either. 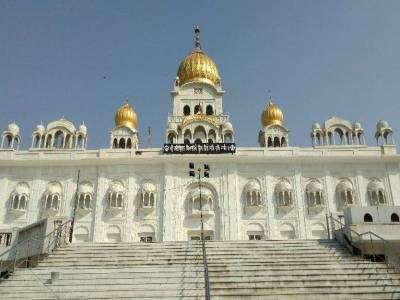 Get quick answers from travelers who visit to Gurudwara Bangla Sahib.